If you are thinking of starting a business here in Pittsburgh there are lots of great groups to check out. Every other month or so, entrepreurs gather in the morning for Open Cofffee (usually hosted at the Alpha Lab offices on Carson St.). Some of the Open Coffee folks are getting together for Start Up Drinks. Kind of like Open Coffee, but now in the evening and with the option of beer. Come out and have some drinks with us at the kickoff event for Startup Drinks Pittsburgh! Network with some of Pittsburgh’s entrepreneurs, investors, and well-wishers. It’s sure to be a great time. 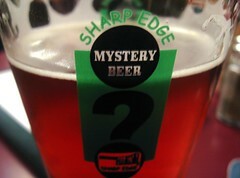 Sharp Edge Beer Emporium in Friendship on Nov. 18 at 6PM.